All financial products are subject to SCTs between investor/borrow and bank/product provider. Many of the visible terms in these contracts are grossly unfair …. whilst additional unfair “terms” are cleverly concealed. * Neglecting to disclose fees, charges and commissions paid to accountants, lawyers and third parties. The financial services industry now appears to view their products as an opportunity to rob the public rather than assist the public. To this end they cloak their SCTs in vague, technical jargon which are indecipherable to the public – and sometimes to their own employees! A huge number of scams operated in Spain by fraudulent companies sometimes based in the Isle of Man, Jersey and Guernsey are responsible for many thousands of pensioners losing their life savings and sometimes their homes. This has bought disgrace and shame on the industry and people now flee in terror at even the mention of “investment funds”, “mortgages”, “equity release schemes” or even simple savings accounts. The three are often undistinguishable from each other. I could not agree more. The mere mention of banks, investment portfolios and 5 year horizons sends shivers down my spine. 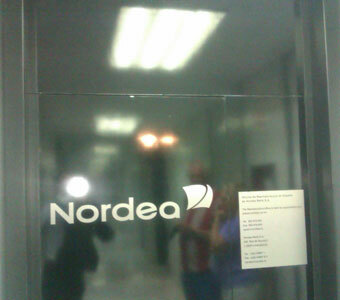 Nordea was one of the worst culprits. Their method was somewhat simplified, to their minds. Once they had lost some 25% of the value of the portfolio they converted the investments to cash as they admitted they did not want to lose any more money. Then started foreclosure proceedings to recoup the money they had lost by their incompetence. If only they had left the money in the portfolios, eventually they would have clawed most, if not all of the monies back. Now we hear that Nordea Private Bank Luxembourg have abandoned the sinking ship and sold out to another bank. At last the courts are slowly coming to realise the gravity of the situation that Nordea have left many of their customers in and refusing to rule in the banks favour in foreclosure proceedings.